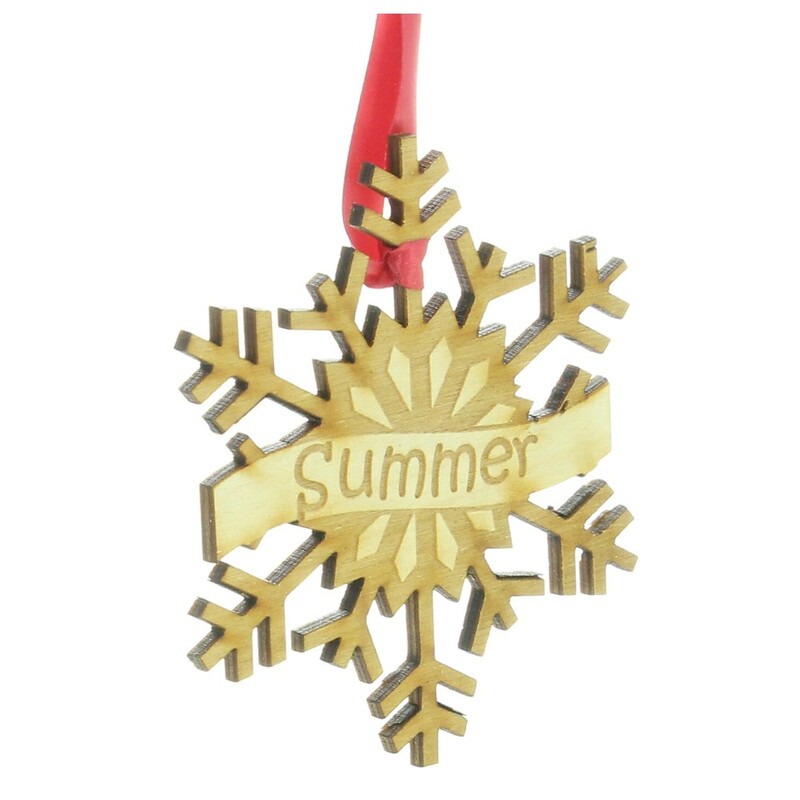 Personalised Engraved Wooden Snowflake Christmas Tree Decoration. This amazing unique Snowflake decoration measures 9cm high. It is made from 3mm thick ply wood. It comes with red ribbon at the top of the decoration.